LG’s three new midrange smartphones all have something in common: They don’t want to offer midrange features, or look like midrange devices. 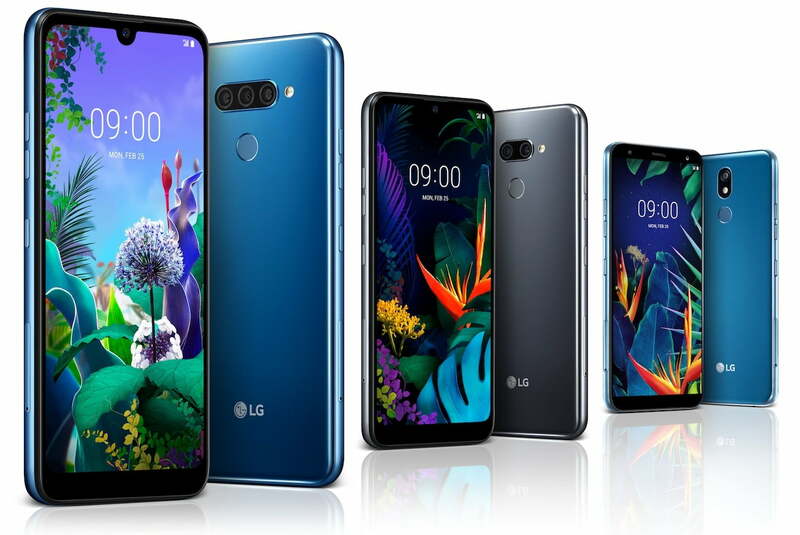 The LG Q60 is the pick of the new lineup, with its triple-lens camera array and large screen, and it’s joined by the LG K50 and the LG K40, which both still manage to include strong features and similarly large, attractive screens. Let’s take a look at each one individually. The Q60 has the most technically impressive specification sheet of all the three new LG phones announced here. The screen measures 6.26 inches and has a FullHD+ resolution, along with a wide 19:9 aspect ratio. A teardrop notch is at the top, but as this is not a flagship device, there are noticeable bezels and a chin at the bottom of the screen. On the back is a triple-lens camera consisting of a 16-megapixel main lens, a 5-megapixel wide-angle lens, and a final 2-megapixel depth sensing lens. There’s some artificial intelligence inside for object and scene recognition, phase detection autofocus, and the chance to take bokeh-style shots, too. The front camera has 13 megapixels. LG’s not saying which chip powers the Q60, only that it’s an octa-core processor with a 2.0GHz clock speed. 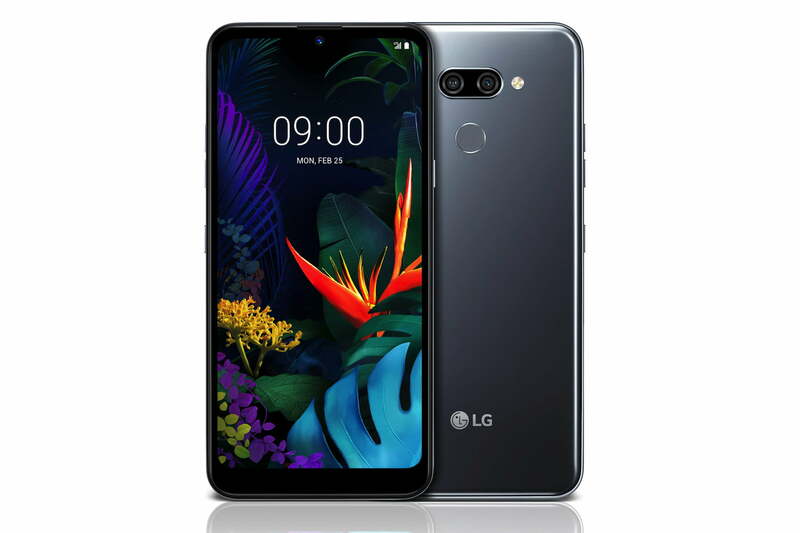 It comes with 3GB of RAM and 64GB of storage memory, plus a MicroSD card slot, 4G LTE connectivity, a fingerprint sensor, direct access to Google Assistant using a dedicated button, and an 8.7mm-thick body that reaches MIL-STD 810G toughness standards. The battery has a 3,500mAh capacity. The K50 also has a 6.26-inch FullVision screen with a teardrop notch at the top, but the resolution is lower, and the aspect ratio slightly different at 19.5:9. It’s the same 2.0GHz octa-core chip inside with 3GB of RAM, but there’s only 32GB of internal storage here, with a MicroSD card slot to increase it by up to 2TB. There are two camera lenses on the back — a 13-megapixel main lens with phase detection autofocus, and a second 2-megapixel depth-sensing lens. There’s another 13-megapixel camera on the front, and a 3,500mAh battery inside, just like the Q60. There are other similarities between the two, for example the K50 also reaches military standards for toughness, has DTS:X 3D sound, artificial intelligence camera features, a fingerprint sensor, and a dedicated button for Google Assistant. 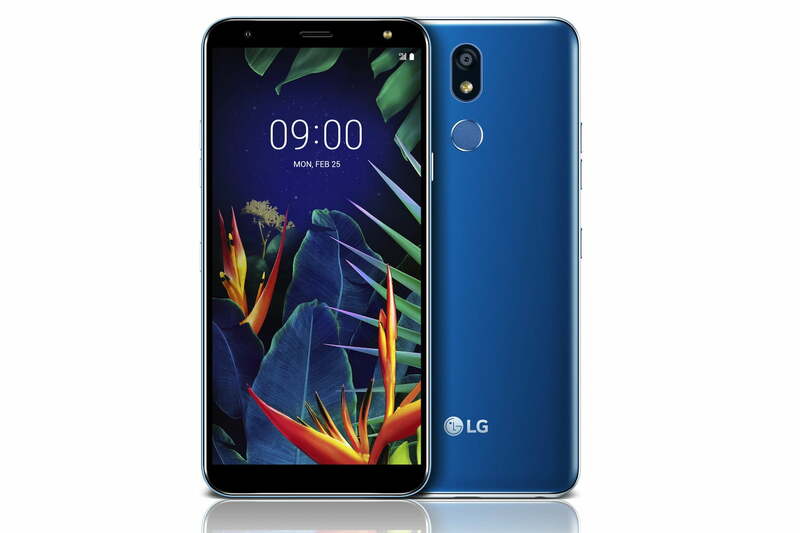 The most basic of LG’s three new smartphones, the K40, still has the same 2.0GHz octa-core processor, but comes with 2GB of RAM and 32GB of storage space. The screen measures 5.7 inches with an 18:9 aspect ratio, and no notch. The battery gets smaller, too, and has a 3,000mAh capacity. There are changes to the camera array. It still has two lenses, only it’s one on the front and one on the back. The rear camera has 16 megapixels, while the selfie camera has 8 megapixels and comes with an LED flash. LG has still integrated its artificial intelligence features, DTS:X 3D sound, a fingerprint sensor, and the military-tough body. The three new phones will be shown at Mobile World Congress 2019, where we expect to hear more about availability. 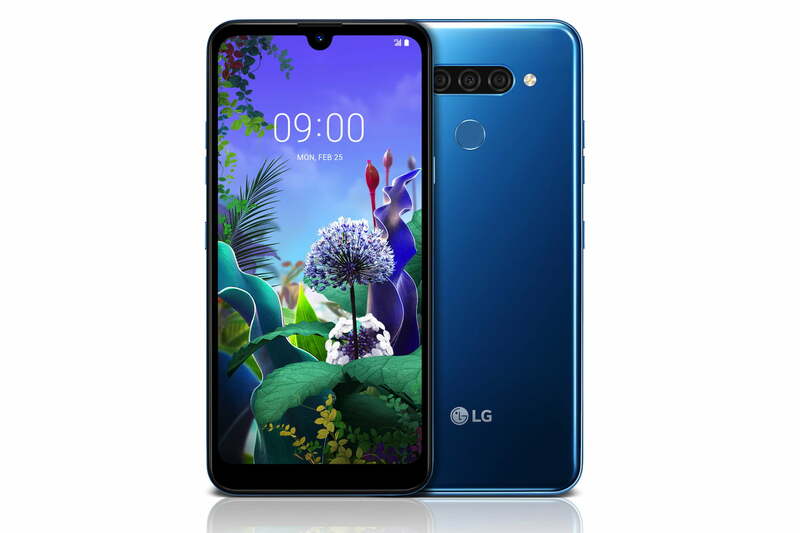 LG is also expected to show the LG G8 ThinQ, and potentially the 5G V50 ThinQ at the show.